Easter Egg hunt at 3:30 pm! First of four Kids Night with Bike Races & Candy Toss presented by D&B Agro Systems. Summit USRA Weekly Racing Series featuring Olsen Family USRA Modifieds, Seneca Foundry USRA Stock Cars, Stein Heating & Cooling USRA B-Mods, Diamond in the Rough USRA Hobby Stocks and My Race Pass USRA Tuners. Saturday’s all-day celebration will kick off with a race car show at Tex Trail Trailer Parts located at 1700 West 2nd Street in Webster City from 11 a.m. to 1 p.m. Awards for Best in Show and People’s Choice will be named at the conclusion of the race car show. Hy-Vee will be there serving hamburgers and hot dogs so come out for some fun at Tex Trail Trailer Parts. Friday Night Under The Lights Series featuring Olsen Family USRA Modifieds, Seneca Foundry USRA Stock Cars, Stein Heating & Cooling USRA B-Mods, Diamond in the Rough USRA Hobby Stocks and My Race Pass USRA Tuners. $3,000 to win USRA Modified main event! Summit USRA Weekly Racing Series featuring Malvern Bank Super Late Models, Olsen Family USRA Modifieds, Seneca Foundry USRA Stock Cars, Stein Heating & Cooling USRA B-Mods, Diamond in the Rough USRA Hobby Stocks and My Race Pass USRA Tuners. Area teachers will receive FREE admission! All active & retired military members will receive FREE admission. $1 of every ticket sale will be donated to Hope for the Warriors. Items to be auctioned off during intermission. All proceeds go to Hope for the Warriors. The mud-slinging monster modifieds bring the USMTS Northern Lights Series to the Hamilton County Speedway, along with the Summit USRA Weekly Racing Series featuring Seneca Foundry USRA Stock Cars, Stein Heating & Cooling USRA B-Mods, Diamond in the Rough USRA Hobby Stocks and My Race Pass USRA Tuners. Firework show after the races! Family fun for everyone! Stick around after the races for a firework spetacular, brought to you by Seneca Foundry! Fans will receive FREE admission with a driver ticket! Contact your favorite driver for your ticket (tickets will not be available until June 22, 2019). Firefighters will receive FREE admission! • Pit Gates Open 4:30, Grandstand Gates open 4:30, Drivers Meeting 6:20, Hot Laps 6:40, Racing to Follow. • General Admission: Adults (16+) $15, Youth (6-15) $10, Kids (5 & Under) FREE. • Pit Pass $35, Youth (6-10) $25, Kids (5 & under) FREE. Harness Races - General Admission $5. • Grandstand Gates open 4:00, Harness Racing 5:00. • Pit Gates Open 4:00, Grandstand Gates Open 4:30, Drivers Meeting 6:20, Hot Laps 6:40, Racing to Follow. • Adults $12, Juniors (12-16) $8, Kids (11 & under) FREE. • Family Pack: Two (2) Adults and two (2) Juniors $32 (save $8). • Pit Pass $30, Youth (6-10) $20, Kids (5 & under) FREE. Eve of Destruction Demo Derby and Trailer Races. • Pit Gates Open 4:30, Grandstand Gates Open 4:30, Derby 5:30, Trailer Races to Follow. • Adults (16+) $12, Youth (6-15) $8, Kids (5 & Under) FREE. For more information and other fair events, check out HamCoExpo.com. Pit Gates Open 4:00 p.m. | Spectator Gates Open 5:00 p.m. Drivers Meeting 6:45 p.m. w/ hot laps to follow | Racing 7:15 p.m. The mud-slinging monster modifieds bring the USMTS Hunt for the Casey's Cup to the Hamilton County Speedway, along with the DTRA! $2,000 to win Malvern Bank SLMR Series Super Late Model main event! Fall Series featuring Malvern Bank Super Late Models, Olsen Family USRA Modifieds, Seneca Foundry USRA Stock Cars, Stein Heating & Cooling USRA B-Mods, Diamond in the Rough USRA Hobby Stocks and My Race Pass USRA Tuners. $2,000 to win USRA Stock Car main event! 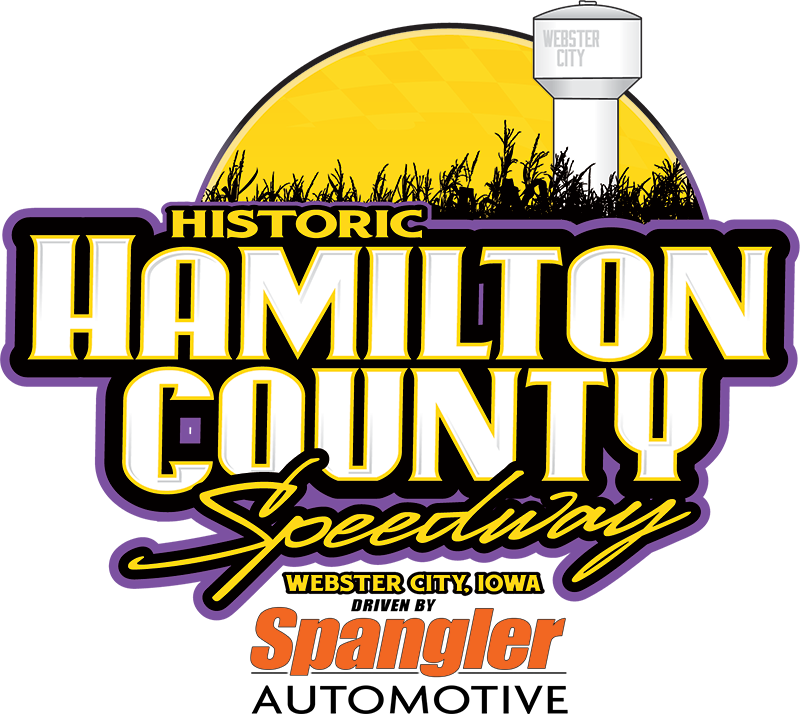 Plus DTRA Dirt Trucks Presented by Spangler Automotive on Saturday!